Update: HTC has started rolling-out the Eye Experience with Android 4.4.4 KitKat update for its One (M8), for the users in India. The new update is said to be about 288.45 MB in size and is yet to be officially announced by the Taiwanese handset maker. HTC had brought the Eye Experience update with Android 4.4.4 for One (M8) in Europe, last month. 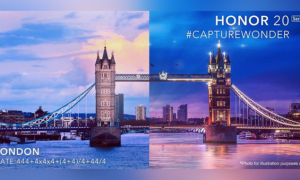 HTC Eye Experience brings many new features in its camera app such as, split capture; crop me in, face fusion, live makeup, and photo booth. Desire Eye comes with two selfie modes namely auto and voice selfies. The split capture feature allows the user to take photo and videos by using rear and front camera at the same time. With the face fusion feature, we easily can merge any two faces to create funny images. Live makeup feature allows the user to customize the photo before clicking it. With photo booth, different looks can be given to the selfies. The flagship of HTC is here now in India, HTC has launched the HTC One (M8) in India that was announced earlier this year in February. The main feature of this device being the secondary rear camera that is you to take depth information to change the focus of a photo easily and also has features like UFocus and Foregrounder feature to apply artistic filters to the background of the image. The successor of the HTC One will be featuring a 5 inch (1920 x 1080 pixels) Full HD touch screen display with Corning Gorilla Glass 3 protection and is powered by 2.5 GHz Qualcomm Snapdragon 801 quad core processor coupled with Adreno 330 GPU and 2 GB of RAM. The device will be running Android 4.4 KitKat Operating system with HTC’s own Sense 6.0 UI (User Interface) on top. The battery given to the the HTC One (M8) is at 2600 mAh to power it. 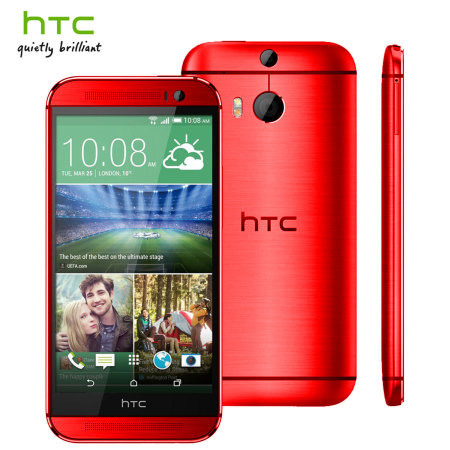 Unlike all other Smart phones, this HTC One (M8) has dual rear cameras with one regular UltraPixel camera with dual LED flash, BSI sensor, F/2.0 aperture and 28 mm lens and the secondary rearcamera is used to capture depth information of the images. The front camera is a 5 MP shooter with Full HD video recording. The on-board memory of the device is at 16 GB that can be further extendable up to 128 GB via micro SD card slot. The connectivity of the device includes 4G LTE / 3G HSPA+, WiFi 802.11 a/ac/b/g/n (2.4 and 5 GHz), Bluetooth 4.0 with aptX codec, MHL, NFC and GPS with GLONASS and it also has Infrared remote control and has Dual front facing stereo speakers with built in amplifiers and HTC Sense voice. The device is 9.35 mm thick and weights 160 grams. 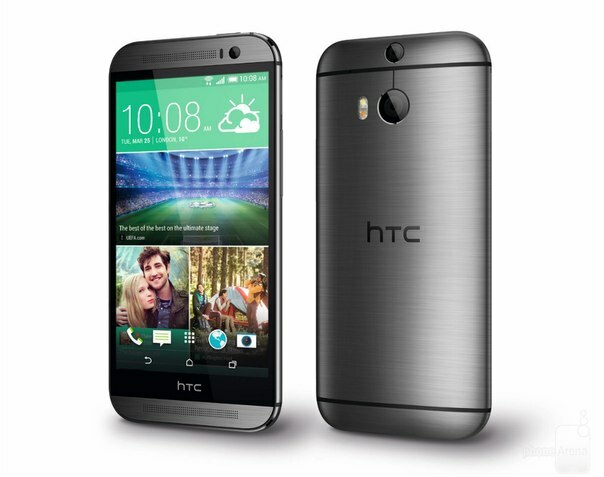 The HTC One (M8) will be coming in Glacial Silver, Amber Gold and Gunmetal Gray color variants and will be available across India from May 7th for Rs. 49,900 (MOP). This can be a better option than the Samsung Galaxy S5 because of its pricing which is lower than it. Apart from that in india we get real HTC M8 not like Samsung Experiments with exynos processor which boasts octa core but in real world very much inferier to snapdragon.buy blindly the htc m8 in india.